Wouldn’t life be so much easier without dark circles? Imagine not having to hear the words “You look so tired!” twenty times a day. You would no longer have to spend about 15 extra minutes on concealing while doing your makeup. In fact, you might even decide to say “Chuck it!” and go au naturale every now and then because, hey, your skin looks pretty damn good. What if I told you that all of this is possible with the right products? But before we get into it, let’s talk about why you get dark circles. We all know that the skin under our eyes is extremely delicate. It is almost always the first to age and is about 0.5mm thick while the rest of our skin is about 2 mm thick. 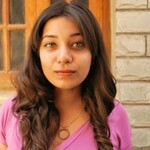 Under eye skin, or periorbital skin, becomes thinner much faster than it should when it is not cared for appropriately. With the hectic lifestyles and the constant pollution we’re exposed to, the skin deteriorates, showing the blood vessels under your skin more clearly. This causes the appearance of dark circles. 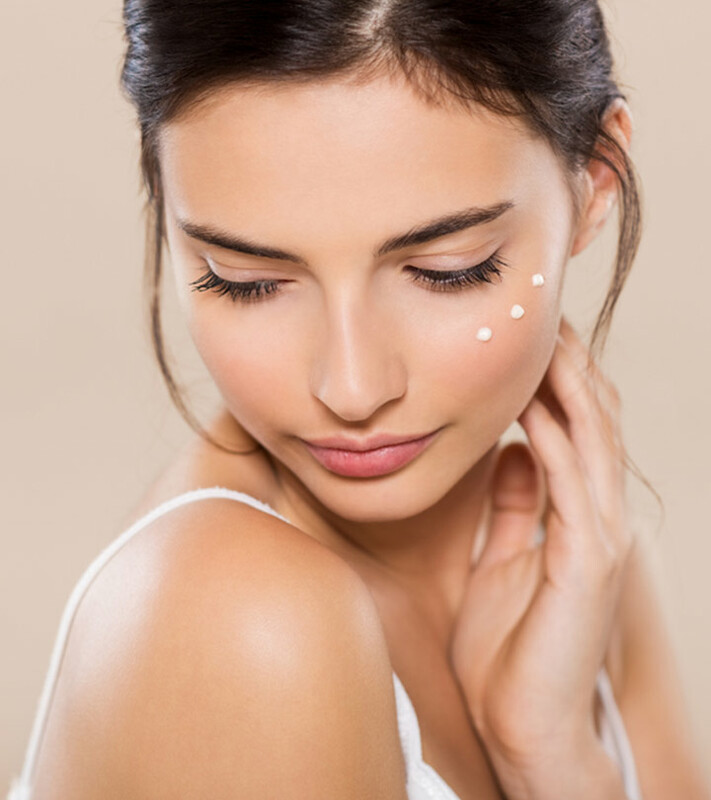 Periorbital hyperpigmentation is another cause of dark circles where excessive melanin (the pigment that gives your skin its color) is produced in the under eye area. The lack of sleep is one of the most common causes for under-eye dark circles. However, oversleeping can also be problematic. 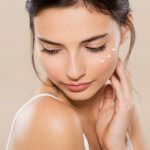 To help keep your under eye skin healthy and tackle pigmentation, I’ve put together a list of the top 11 dark circle removal creams available in India. Keep reading to find out which creams have made it to the list. 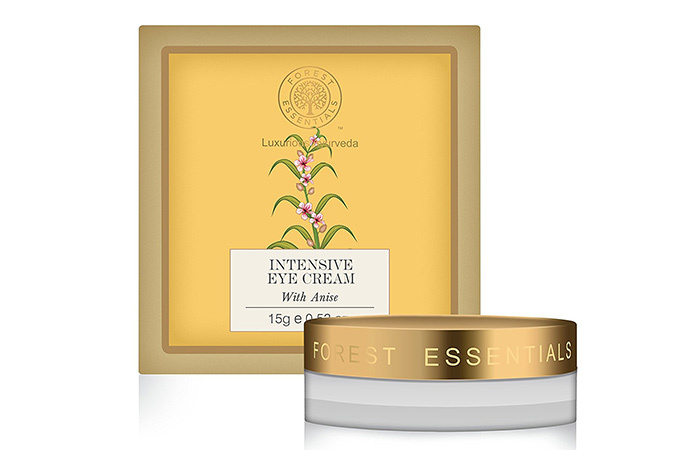 Forest Essentials’ Intensive Eye Cream With Anise has been specially formulated to treat the delicate under eye area. It helps reduce dark circles and diminish dark circles, while also toning and firming the skin around your eyes. This herbal product contains extracts of papaya and potato starch, both of which help provide your skin with hydration. Helps smoothen the skin under your eyes. Delivers noticeable results within a few days of use. Works well as a primer. Glass packaging is not travel-friendly. 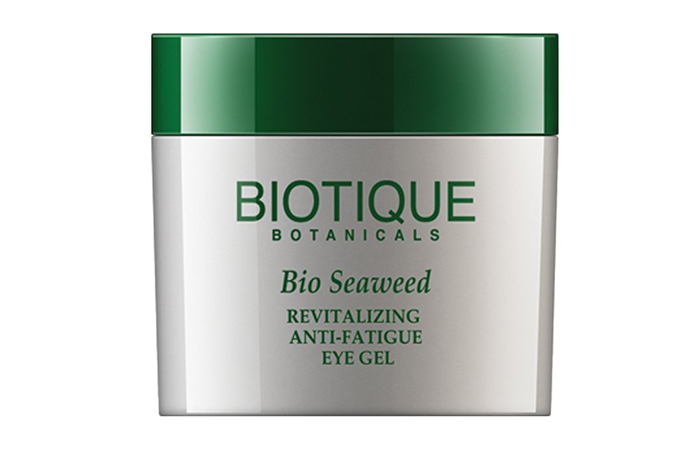 Biotique’s Bio Seaweed Revitalizing Anti Fatigue Eye Gel helps tackle puffiness and dark circles. Biotique claims that a little bit of product goes a long way. The formula contains seaweed extract along with almond extract, Himalayan water, honey, and nutmeg oil. It is rich in lipids, minerals, proteins, vitamins, and other detoxifying elements. Clear gel that is free of fragrance and color. Spreads well and is easily absorbed. Prevents dark circles from getting worse. Works to hide dark circles rather than fixing them. 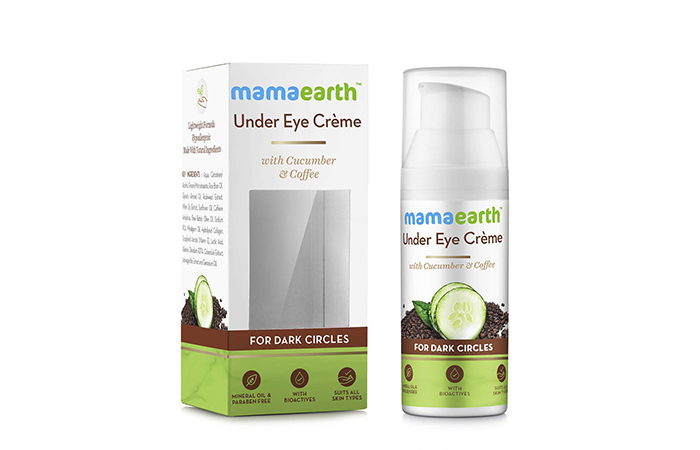 The MamaEarth Under Eye Crème with Cucumber & Coffee is an effective remedy for dark circles, puffiness, under eye bags, and wrinkles. 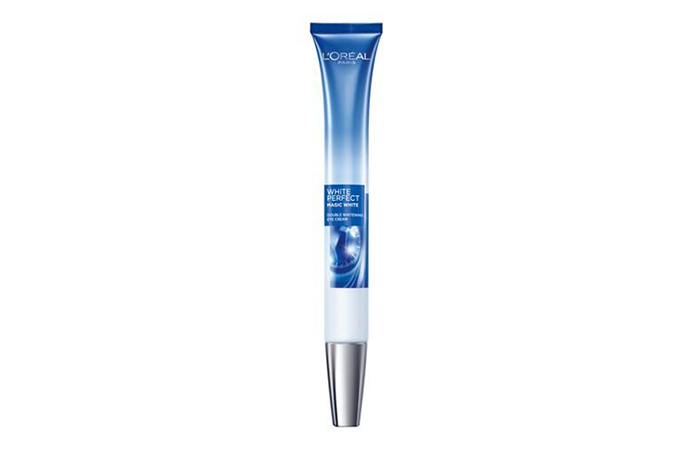 The product claims to reduce sun damage and inflammation while protecting the delicate skin under your eyes. Its vitamin C and hyaluronic acid content help in fixing under eye issues. It can be used as both a morning and night eye cream. 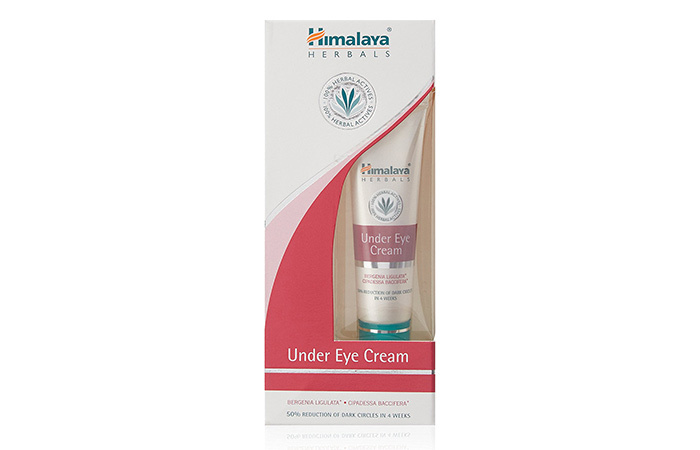 Himalaya’s Under Eye Cream claims to clear pigmentation, dark circles, and blemishes. It also helps brighten and smoothe the area around your eyes. The product claims to reduce dark circles by 80% within a month. It also claims to reduce wrinkles and fine lines by 28% within a month. Light formula which spreads well and is easily absorbed. 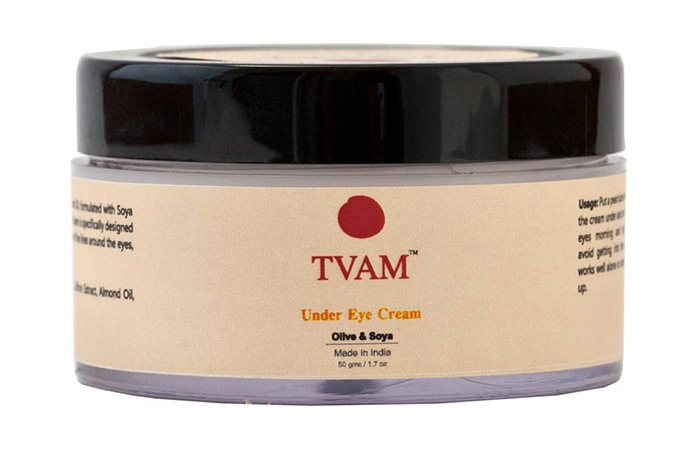 Tvam’s Olive And Soya Under Eye Cream contains the goodness of olive oil, almond oil, nutmeg oil, and aloe vera. Its unique formulation helps treat the delicate under eye area effectively. The product helps minimize dark circles, reduce puffiness, and smoothe out wrinkles and fine lines. Helps treat dark circles and puffiness. Works on fine lines to a certain extent. Feels rough on the skin. Takes a while to show results. L’Oreal Paris’ White Perfect Magic White Double Whitening Eye Cream claims to whiten the skin from the inside, helping fade dark circles. It helps brighten the under eye area and claims to show results with the first use. It helps inhibit the production of melanin, which curbs pigmentation problems. Leaves your skin with a slight tingling sensation. 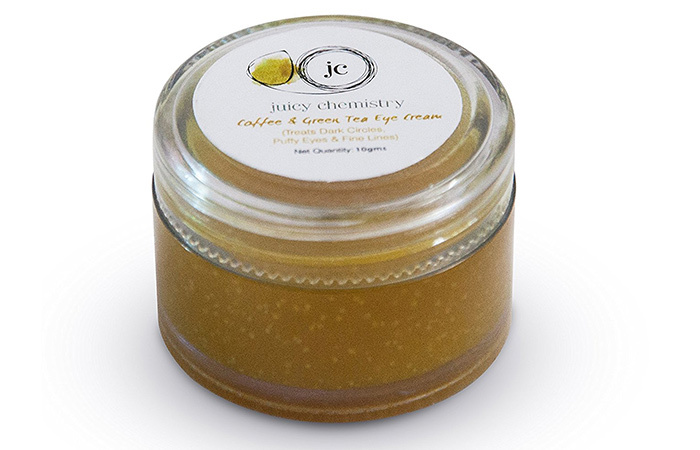 Juicy’s Chemistry Coffee And Green Tea Eye Cream is infused with coffee and green tea. It also contains almond oil, which helps moisturize the delicate under eye area. This product also helps prevent fine lines and wrinkles. It is 100% natural and free of chemicals, parabens, preservatives, alcohol, and artificial fragrances. Compact packaging which is extremely travel-friendly. Free of chemicals, parabens, preservatives, alcohol, and artificial fragrances. Active herbs may irritate sensitive skin types. 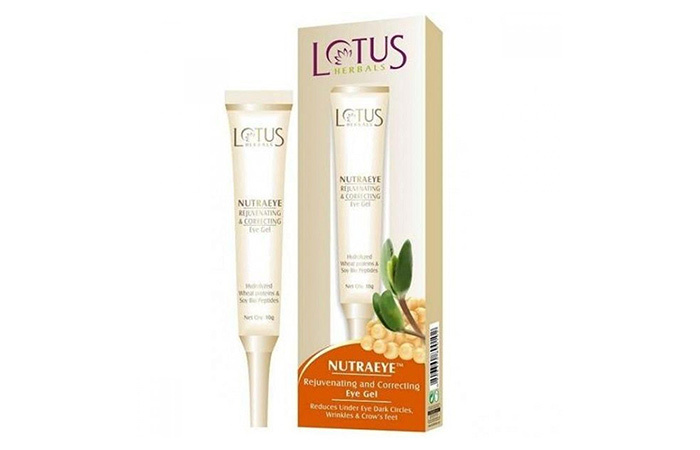 Lotus Herbals’ Nutraeye Rejuvenating And Correcting Eye Gel claims to treat the skin around your eyes with its rejuvenating properties. It claims to reduce under-eye dark circles, puffiness, wrinkles, and fine lines. Light consistency that spreads well and is easily absorbed. 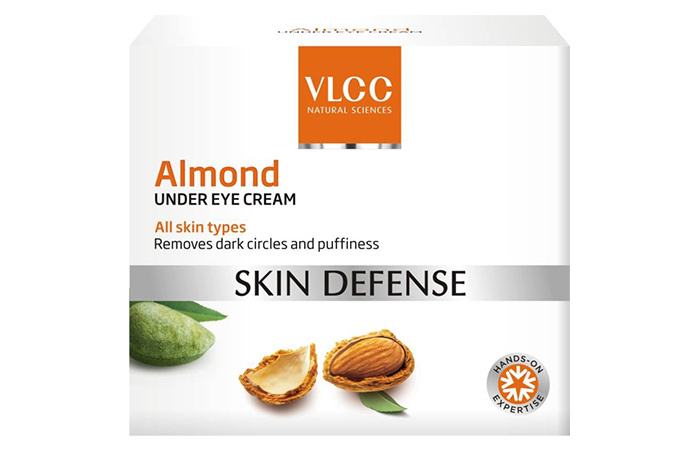 VLCC’s Skin Defense Almond Under Eye Cream claims to be the perfect caretaker for your eyes. It contains chamomile extract, olive oil, wheat germ extract, and vitamin E. The product helps soothe and moisturize your skin while treating puffiness and dark circles. Light formula that spreads well and is easily absorbed. Can be used as a primer. 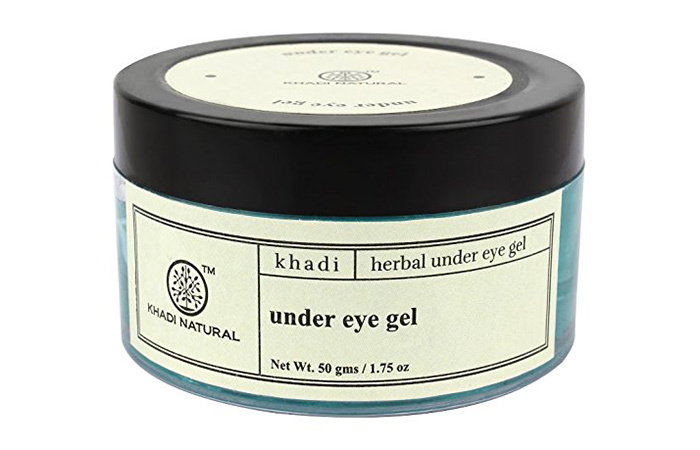 Khadi’s Under Eye Gel works on your delicate under-eye skin to improve its appearance by fading dark circles and reducing puffiness. It also claims to significantly reduce the appearance of fine lines while rejuvenating your skin. The Green Tea Seed Eye Cream is rich in antioxidants, which help fight off skin damage. This helps keep your under-eye skin healthy. 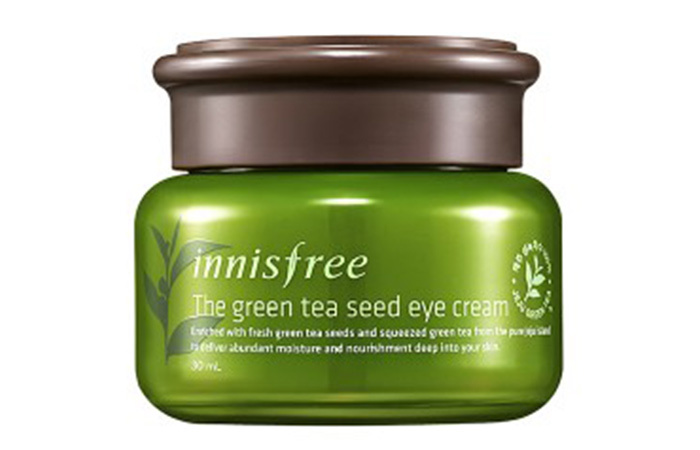 It contains squeezed Jeju green tea seeds, which help moisturize and nourish your under-eye skin. The product is rich in minerals, amino acids, and antioxidants. The world is a much brighter place without dark circles (pun intended). With this list of products, you do not have to deal with puffy eyes or dark circles anymore. Have you used any of these under eye dark circle removal creams? Tell us about your experience in the comments section below.